Chinese state-run media and Internet users demanded action Wednesday after the deaths of at least seven babies since November following their vaccinations against hepatitis B. 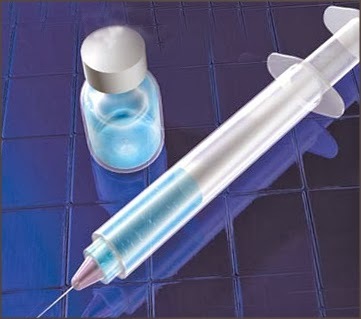 China's Food and Drug Administration has suspended use of the vaccine involved, manufactured by domestic producer BioKangtai, and is investigating, the official Xinhua news agency reported. More than 44 million doses of the vaccine are in stock or have been sold to 27 provinces and regions across the country, the Beijing Morning Post said. An eighth baby died after being given a vaccine made by another company, reports said. Hepatitis B vaccine is one of around 10 free but compulsory inoculations for most children in China. It is injected within 24 hours of birth, with further doses at one and six months. Tests have not so far shown that the shots caused the babies' deaths, but they come against a backdrop of a series of food and health safety scandals in recent years, largely due to lax and corrupt supervision and law enforcement, heightening public concern. "Deadly vaccine" was the second-hottest topic on China's Twitter-like Sina Weibo on Wednesday -- after "Merry Christmas" -- with most postings voicing worries and anger at product quality authorities. "I was trembling while taking my little girl for vaccine today, fearing an accident like the hepatitis B one may happen to her. Nothing is safe in this world," said a user with the online handle "New Makeup". The state-run Global Times called on the authorities to take a hard line in handling the case and punishing those responsible. "This time, the authorities need to respond quickly to public concerns and suspicions, make a thorough investigation, severely penalise those responsible for the scandal and take the chance to better regulate the whole industry," it said in a commentary. Chinese authorities have a mixed record on health issues. They were accused of covering up the outbreak of Severe Acute Respiratory Syndrome (SARS) in 2003 that killed hundreds of people around the world, but the World Health Organization has more recently praised their openness over bird flu.